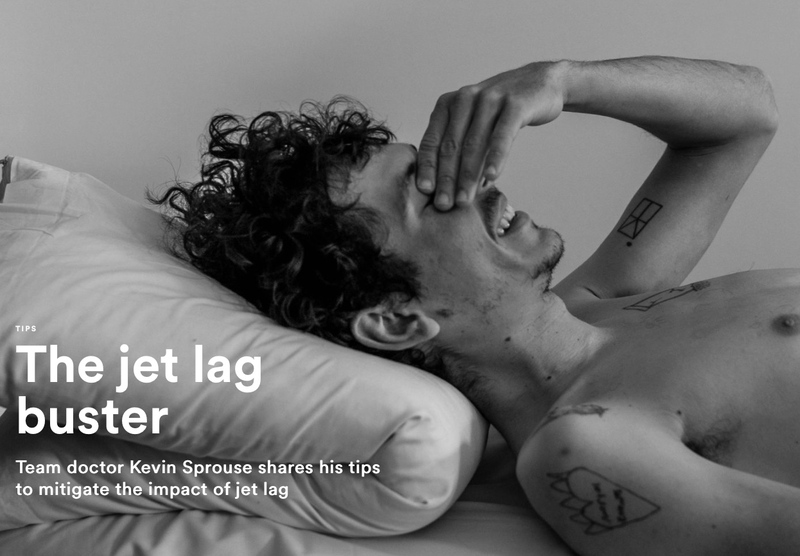 Kevin Sprouse, the head of medicine for EF Education First Pro Cycling, helps the team’s riders mitigate the impact of jet lag, and now he hopes to do the same for you. Traveling takes it out of even the hardiest of travelers, here’s some tips to help make your journey that bit smoother. 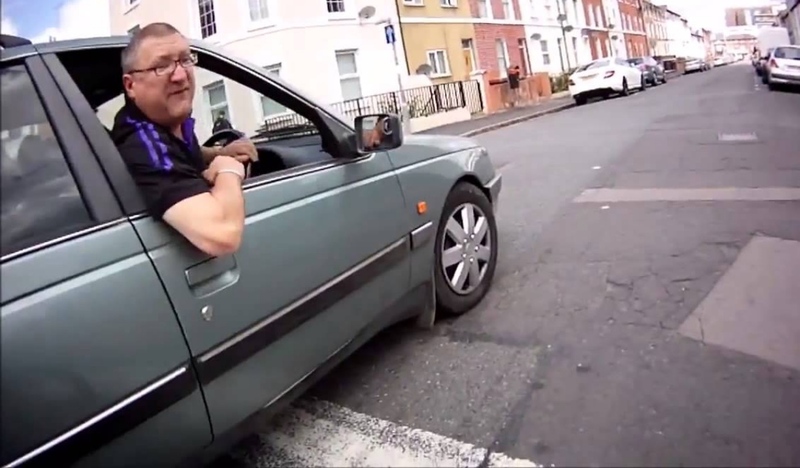 No matter who you ask, lane splitting is a controversial practice. 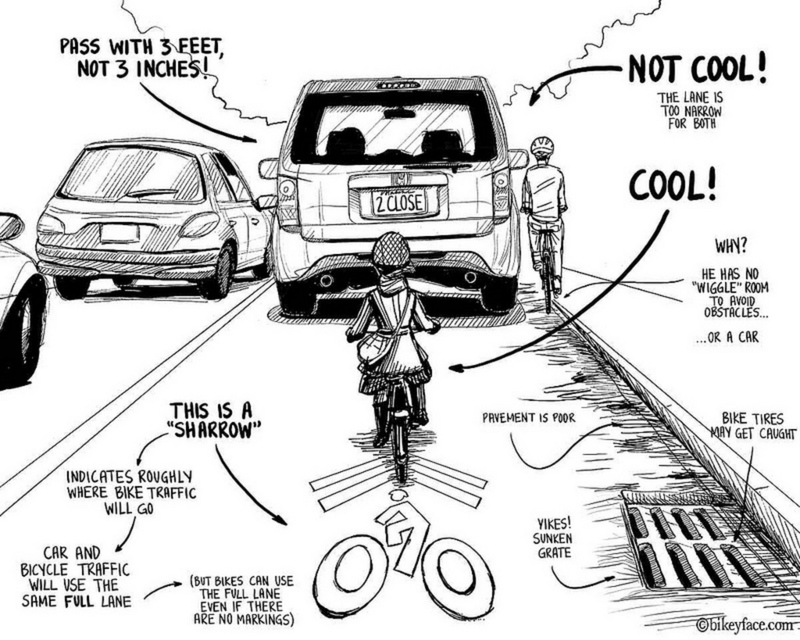 Cyclists maintain that it gets them ahead of traffic so they can be more visible to cars. Motorists argue that it’s dangerous and risky. Bike Safety: Where should you put your camera? If you only have one camera, which mounting position is most useful if you’re involved in an altercation? 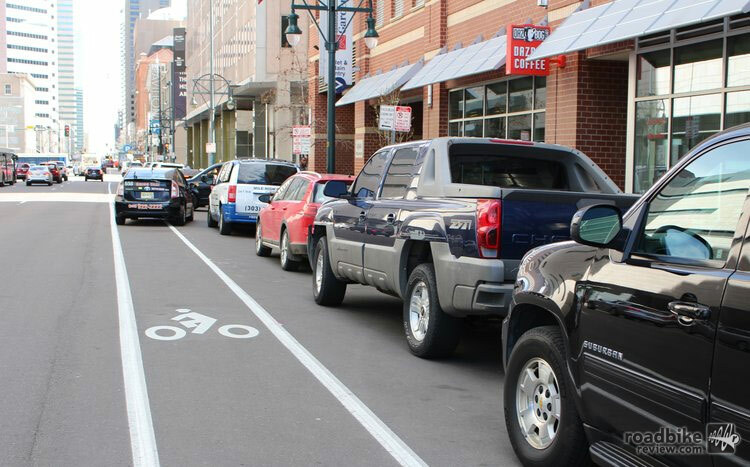 Most states require cyclists to ride as far right as practicable or as judged safe by the rider, but this often puts them directly in harm’s way because they are in the door zone. How far to the right should you ride? How far to the right must we ride? This is one of the most misunderstood portions of traffic safety laws. Here are some answers. It’s an unfortunate fact of riding a bike: No matter how fit you are, you won’t be the strongest rider on every group ride. But that doesn’t mean you have to get shot out the back of the pack. We all want to go faster on our bike, and there are any number of ways to go about doing that. 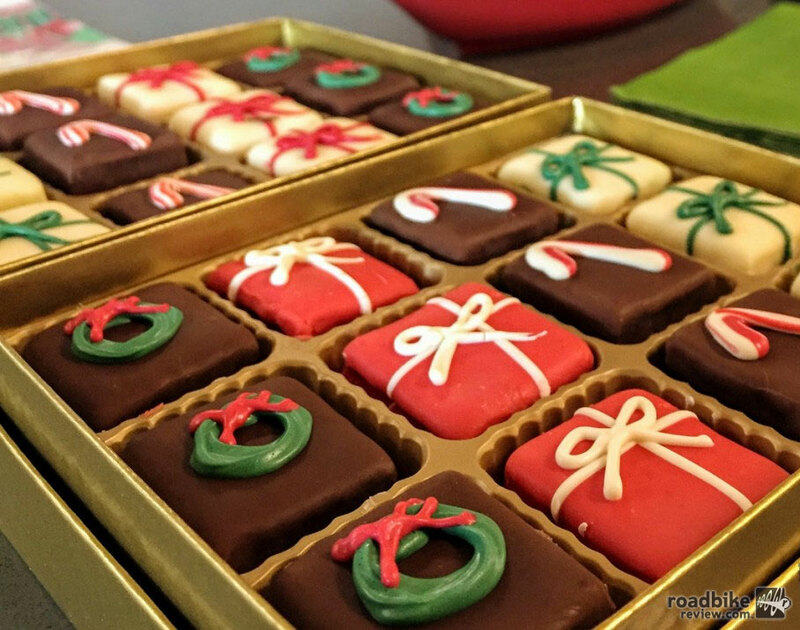 Here are six easy ones. Have you been harassed, yelled at, honked at, buzzed, menaced, or otherwise threatened while riding your bike? Here’s what you can do. 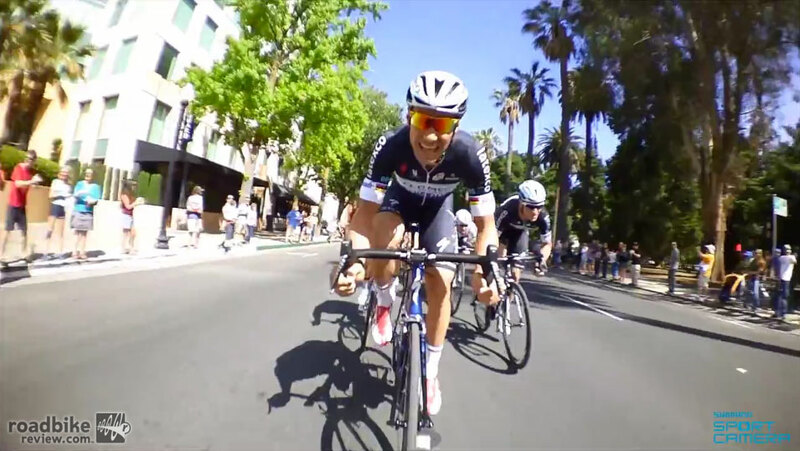 Almost every cyclist wants to go faster. Your average speed is a pretty good measure of your ability, and thus a great way to measure your improving fitness. So how do you increase that all important number? 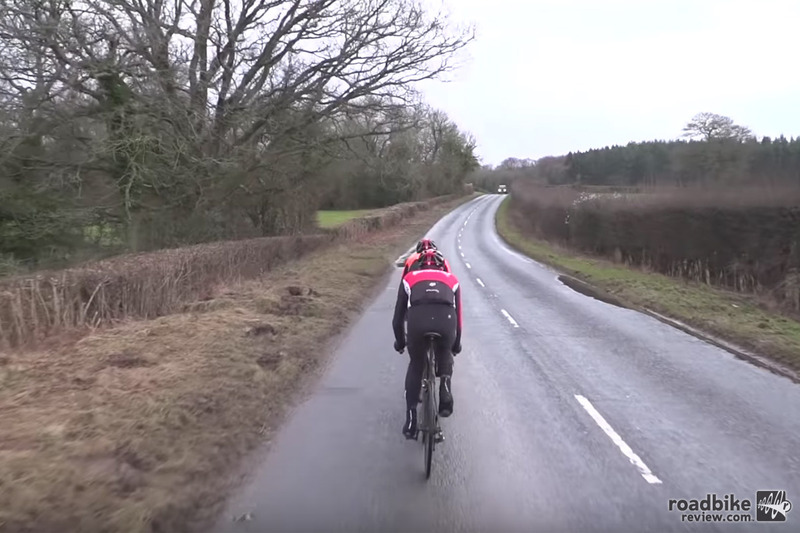 Riding two abreast: When and where is it permitted? 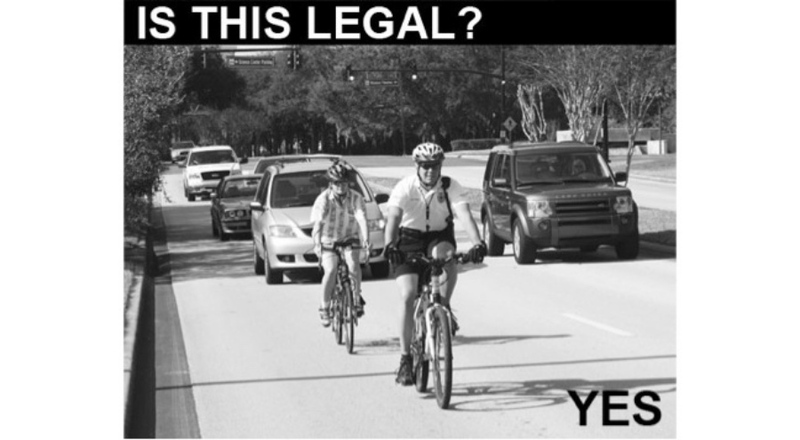 Drivers often get mad when cyclists ride side-by-side, but what does the law say? 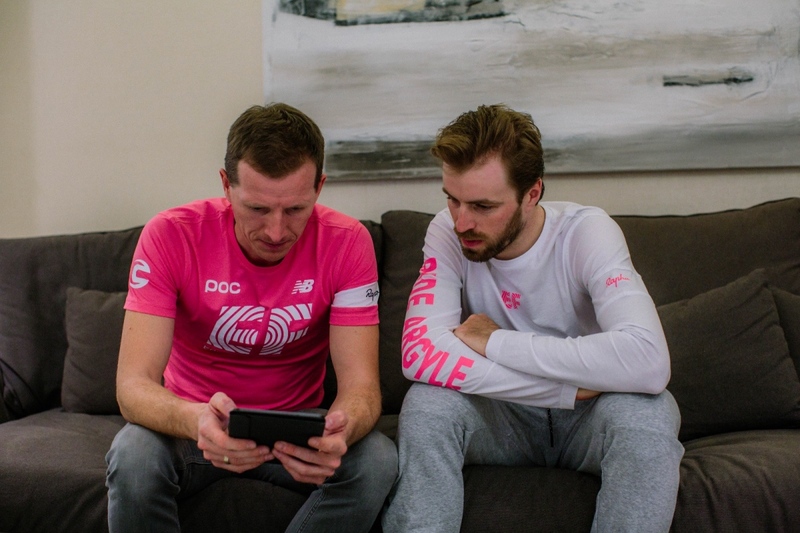 There are lots of bad habits that are easy to pick up, and that will stop you from looking pro on your bike. Bobbing, bouncing, knees out, and elbows out are just a few. Here’s how you can stop them. 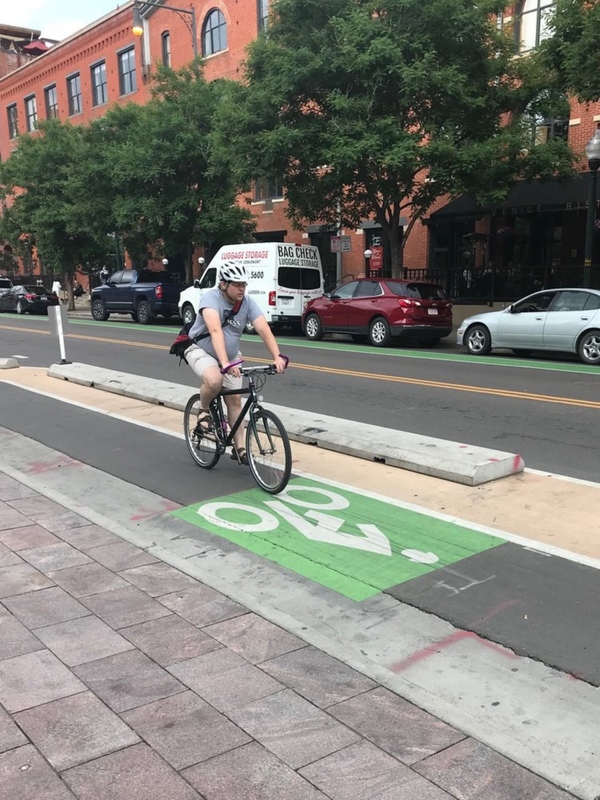 The driver of a motor vehicle overtaking a bicyclist proceeding in the same direction shall allow the bicyclist at least a three-foot separation between the right side of the driver’s vehicle. But how much is 3 feet, really? 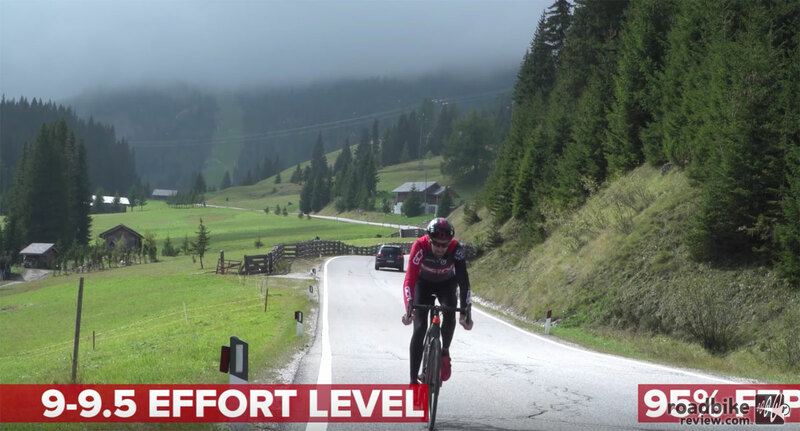 Improving your VO2 max is a surefire way to improve your performance on the bike. Here are some training sessions that can help make that happen. Do you want to get fitter and faster in 2018? Yeah, we thought so. Here are five killer training sessions to help you do just that. The season is over, it’s snowing outside, you’re pounding nut roll like you’re getting paid for it. Off-seasons are for gluttony and sedentary life right? Wrong! 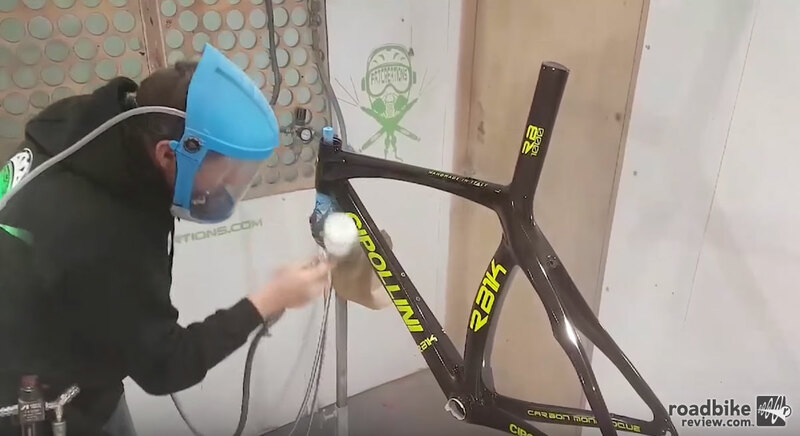 With a little elbow grease — and the right polish — your bike can look showroom good all over again. 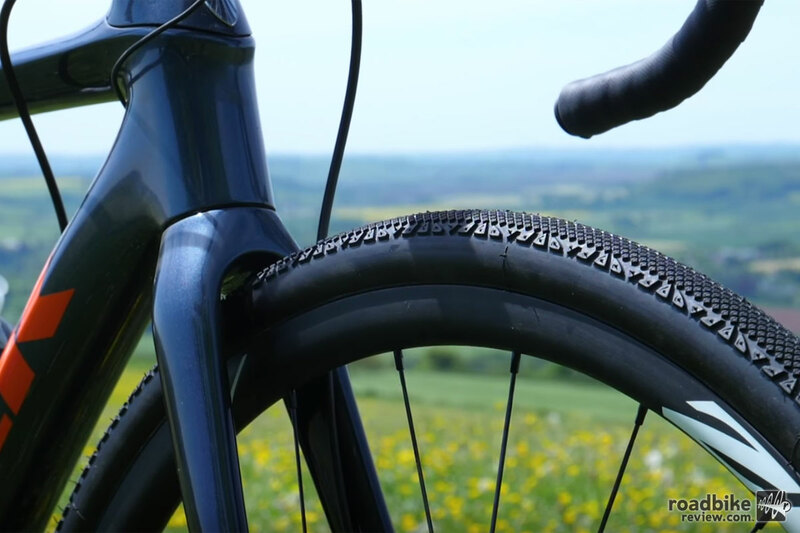 Road tubeless tires and wheels are becoming increasingly popular, but they’re still not perfect. 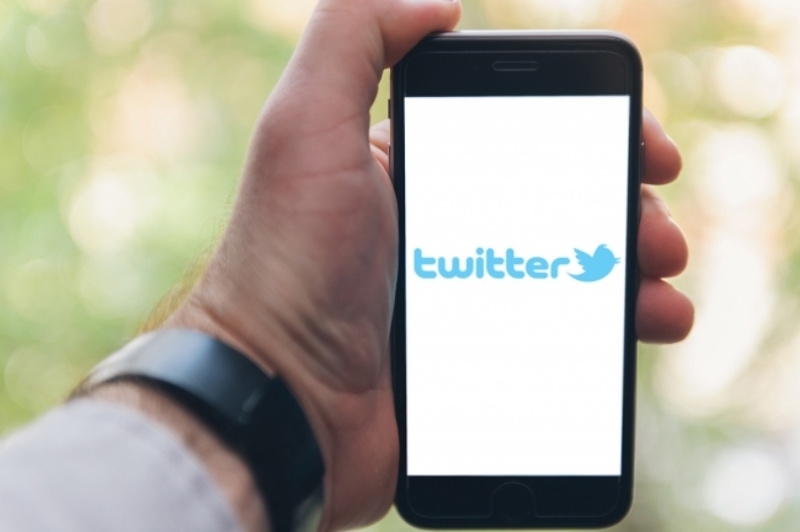 Here are some tips to avoid the most common set-up pitfalls. What’s the best stem length for you? 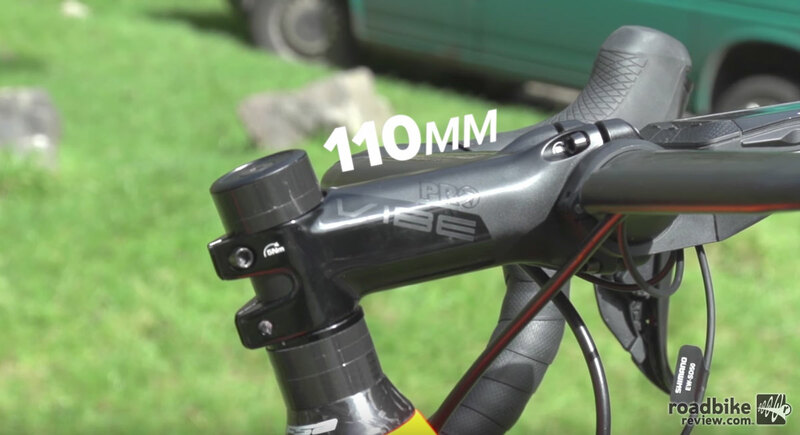 When road cyclists think about stem length, they tend to only take into account the effect it has on their position on the bike. 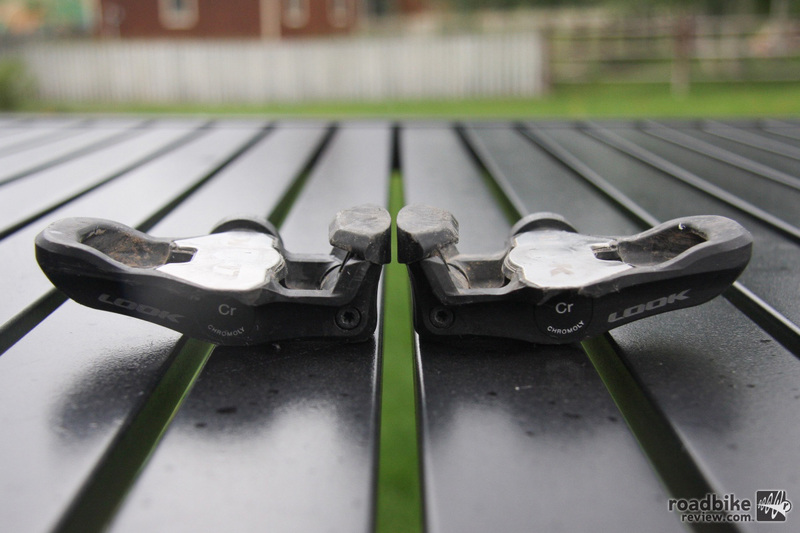 But do different stem lengths change the handling of your road bike, too? What bike should you buy? 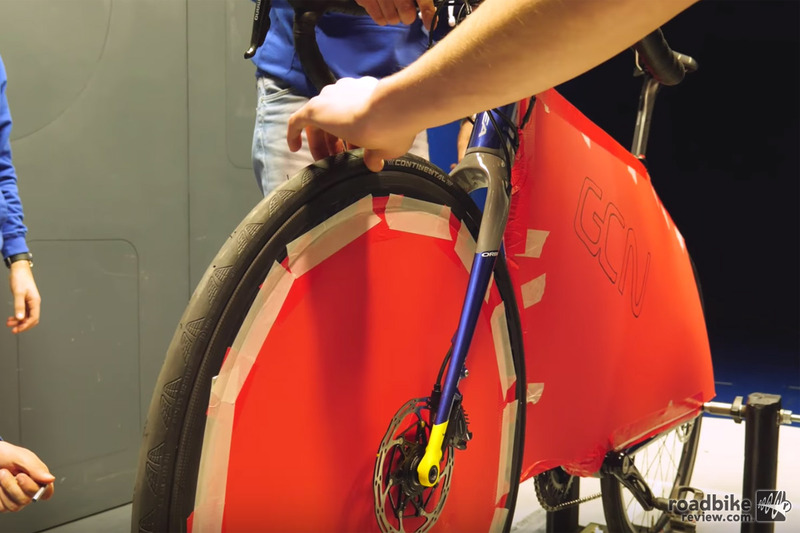 This video takes you through the key differences between bikes and explains the things that you should be looking out for when you make this important purchase. 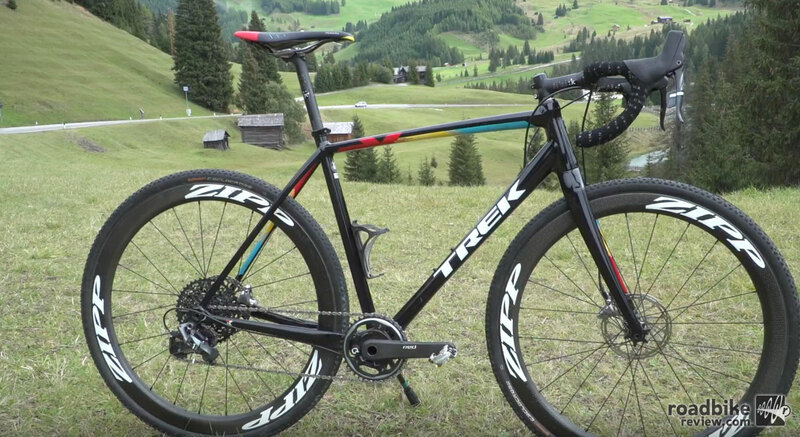 Descending on a road bike is one of cycling’s greatest joys. But it can also be dangerous if done incorrectly. Here’s a six important tips to remember when going downhill fast.